This is a Special Order Item. Please contact us on wholesale@wetanz.co.nz for more information about the available options. Fear was the Witch-king’s greatest weapon, and only the bravest could withstand his advance, yet more earthly tools he bore also: scythes, halberds, long knives, a great flail, and a wicked sword wrought of cursed steel. Darkened and pitted with cruel spells, the savage blade could be wielded with either single or two-handed grip. Donning black robes and armour, the Witch-king of Angmar rode from his fortress of Minas Morgul at the whim of the Dark Lord, to hunt for his enemies or bring war upon Mordor’s neighbours. In form his fiery weapon recalled the tall, straight swords of Númenor, but where they were elegant and noble in their simplicity, the torn edges and points of the Witch-king’s blade promised only death and decay. 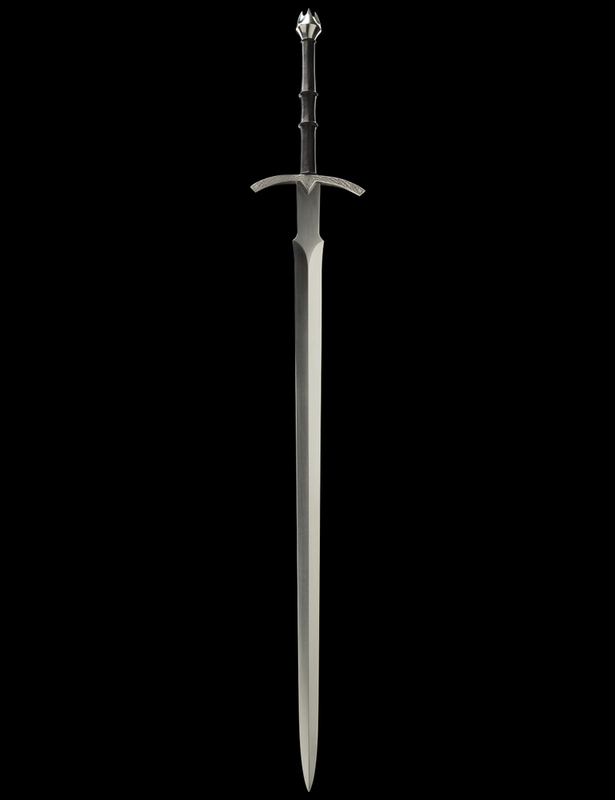 Own a piece of fantasy art of the highest calibre with the Sword of the Witch-king of Angmar. 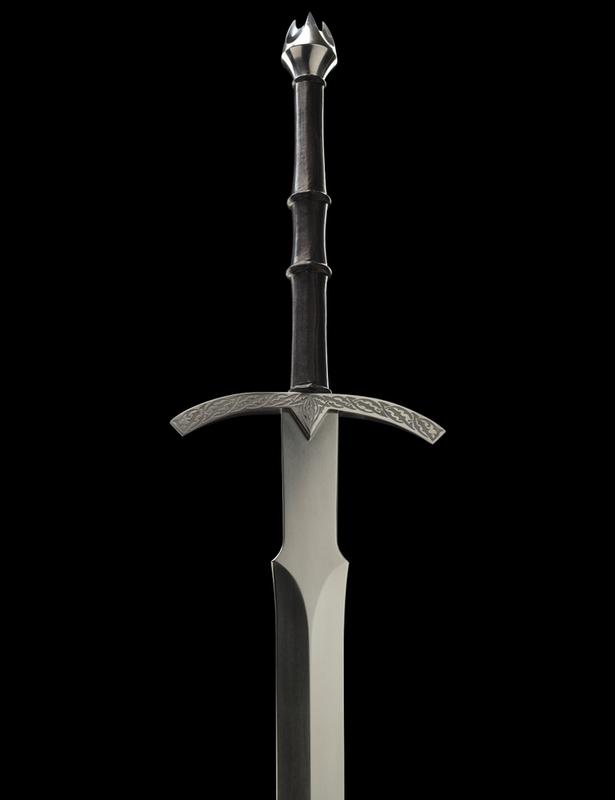 The Witch-king’s sword was designed by Warren Mahy and made at Weta Workshop in New Zealand for The Lord of the Rings film trilogy by Master Swordsmith Peter Lyon, with leatherwork crafted by expert costume technician, Darin Gordine. 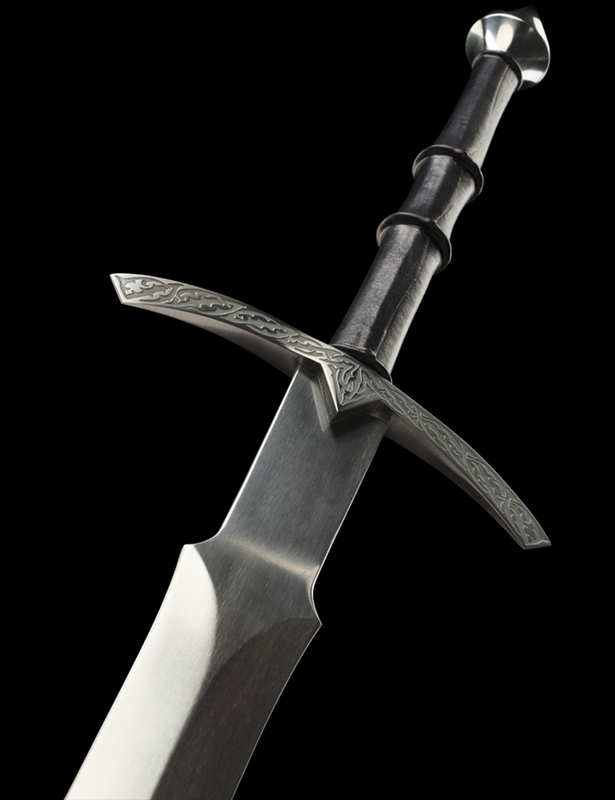 The Sword of the Witch-king of Angmar is made with the same attention to detail that the swordsmiths of Middle-earth would have required. Peter Lyon took the design and created a piece of art and a usable weapon wrapped in one. A sword should be pleasing from all angles and not look overly heavy, nor spindly, anywhere. It’s one of those things that an artist can appraise and know they have it right, based on experience. The blade is made from tempered spring steel, ground to a wicked shape. 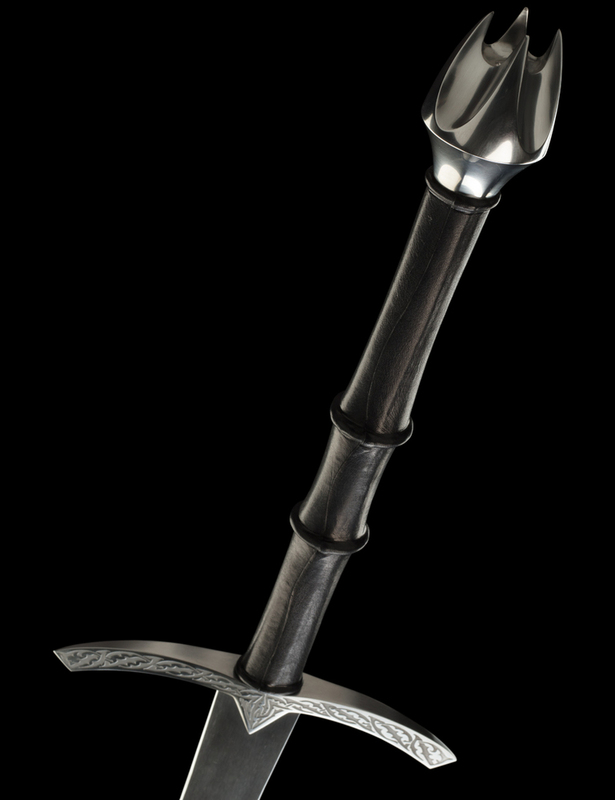 Its curved crossguard is etched with darkness and its spiked pommel is fitted to a grip worked from wood, then covered with leather. The leatherwork has been hand-crafted by Darin Gordine, who contributed many of the costume components and weapons rigs for both Middle-earth trilogies. This sword is the absolute epitome of craftsmanship. A selection of finishes are available - please email us and discuss the options. Balance Point: 4 in (112mm) along the blade. 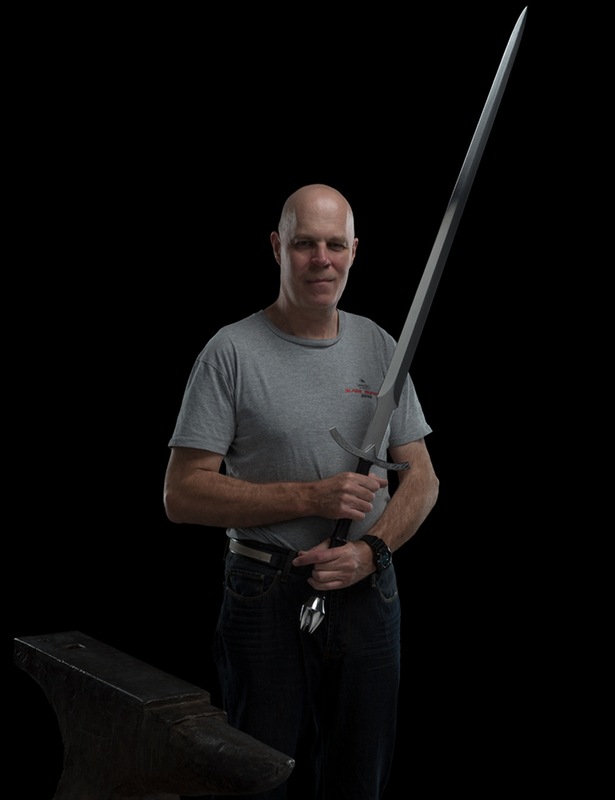 PLEASE NOTE: Minor variations to weights, measurements and balance point will occur as this is a handmade sword. Your sword will be carefully packed in a beautiful wooden display case for the safest possible delivery. A Certificate of Authenticity signed by Richard Taylor and Peter Lyon will also be enclosed.